We come together this morning to celebrate the Eucharistic Liturgy of Christian Burial for our Sister Agnes Patricia Boland, known to most of us simply as Pat. Pat had been ill for some time, and died peacefully on the afternoon of June 17, 2015 in our Maryknoll Sisters’ Homecare IV at Maryknoll, New York. She was 86 years old, and had been a Maryknoll Sister for 66 years. While our hearts are saddened by her death, we rejoice that her personal suffering from physical illness and forgetfulness in recent years is finally over. We are confident Pat now enjoys the freedom of a New Life with God for which she so deeply longed. Agnes Patricia Boland was born February 19, 1929 in White Plains, New York to Mary Agnes McGuinn Boland and Patrick James Boland. She had one brother, John Patrick Boland. Pat grew up in Brooklyn, New York, where she graduated from St. Brendan High School, and attended St. Thérèse of Lisieux Church. The year after her high school graduation, Pat entered Maryknoll at the Venard in Scranton, Pennsylvania on September 4, 1948. At Reception, she received the name Sister M. Margaret Alacoque, but later returned to her baptismal name. She made her first profession of vows on March 7, 1951, and her final vows three years later on the same date in 1954, both at Maryknoll, New York. In 1971, Pat returned to the United States to further her education. She attended St. John’s University in Jamaica, Queens, New York, where in 1972 she earned her Master’s degree in Education, followed in 1974 with a professional diploma in Educational Administration and Supervision. During her years in graduate school, Pat worked as a graduate assistant, and served as the student representative on the faculty council for the School of Education at St. John’s. Pat was assigned to the Eastern U.S. region in 1972, while still completing work for her professional diploma. In her request for assignment to the Eastern U.S. region, Pat said she wanted “to transfer in order to participate in the U.S. apostolate to the Spanish speaking. After seventeen years of experience in Latin America, I would like to utilize the cultural enrichment that has been mine in Panamá and Mexico with others to promote and stimulate mission awareness among those who work with Latinos in the U.S., principally in the educational system in New York.” Around this time, Pat and our Sr. Pauline Linehan, became a two-Sister community, one in which they lived and worked, laughed and cried together for the next twenty-six years, until Pauline’s death in 1997. Pat once said that living in community was the energizer for much of what she accomplished in life and achieved in her ministries though the years. In 1974, Pat and Pauline moved to Somers, New York where Pat taught remedial reading, and Pauline taught art at Lincoln Hall, a facility run by the Christian Brothers for emotionally disturbed juvenile delinquents. During this time Pat continued to take post-graduate courses in Special Education at Manhattan College. In 1977, they moved to Manchester, New Hampshire, so Pauline could care for her widowed and ill mother, while they both continued to engage in their respective ministries with underprivileged children. From 1977-1980, Pat was a Title I Reading teacher for 4th grade disadvantaged students in the Manchester public school system. She was appointed principal of the Main Street School in Exeter, New Hampshire in 1980, and served in this position until 1984. A different phase of Pat’s ministry began later that year, when she and Pauline moved to Washington, DC, where Pat was assistant director of the Rachel Center; a day care center for homeless women that provided meals, health screenings, counseling, and help securing public assistance. For two years, she and Pauline used their talents and gifts to provide a peaceful and secure atmosphere for women in this home located in a high crime area of the city. In 1986, they relocated again, this time to Albany, New York when Pat became director of the U.S. Catholic Conference’s Refugee Resettlement Program. Her responsibilities included arranging for the arrival of refugees, and assisting them to become self-sufficient. When this program later closed, Pat worked for the International Women’s Center Refugee Project, where she taught English as a Second Language to Vietnamese, Bosnian, and Polish immigrants. At the same time, she volunteered with the YWCA Battered Women’s Hotline offering counseling, emergency aid, and temporary shelter for women in distress. Pat served also on our Regional Governing Board from 1987-1989. After Pat retired from teaching, she discovered another passion; advocacy work on behalf of the voiceless. From 2000-2011, she was very involved in the Ecumenical and Interreligious Affairs programs in the Albany diocese. She participated in fasts, walks, and demonstrations to raise awareness of the plight of poorer nations, put an end to human trafficking and income inequality, and alleviate urban poverty. She served on our regional Social Concerns committee for many years. Pat was also a volunteer pastoral minister in her local parish, St. Vincent de Paul, where she was a lector, Eucharistic minister, choir member, and home visitor. She helped spearhead an outreach program in her parish, whereby they became a “sister parish” for our Maryknoll Sisters’ mission in the rainforest of Darién, Panamá. In 2008, Pat traveled with other parishioners to Darién to visit the work of our Sisters there, and to learn about herbal medicines and the benefits of organic farming. Pat continued to be involved in many of these pastoral and civic activities until she returned to the Center in 2012 due to increased health problems. She was assigned to the Eden community in 2014. During more than a quarter of a century in Albany, Pat developed many enduring friendships with lay people and religious alike in her parish, neighborhood, and local community. We in the Eastern U.S. region, remember Pat most for her sense of humor, her energetic and outgoing personality, and her passionate commitment to mission. 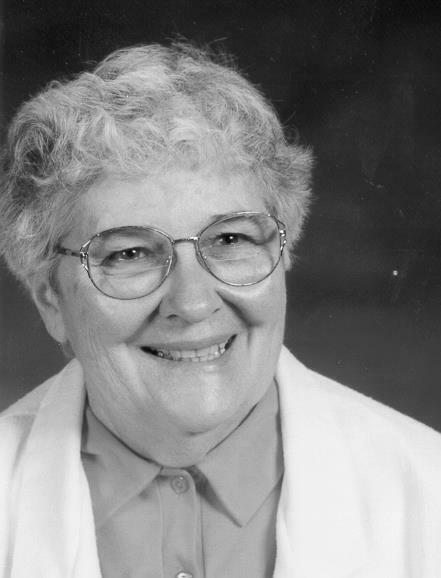 We are deeply grateful to her medical professionals, our Sisters in the Peace cluster, Sr. Joan Sauvigne, and all the Homecare staff who lovingly accompanied Pat during her later years. Although Pat’s extended family was small, her cousins and friends from Albany maintained faithful contact with her through these years. We welcome some of them here today, especially her cousins Ann, Selina, Eileen and her husband Frank. We also welcome our Maryknoll brother, Fr. Jack Sullivan, MM who will preside at this Mass of Resurrection for our Sister Pat.